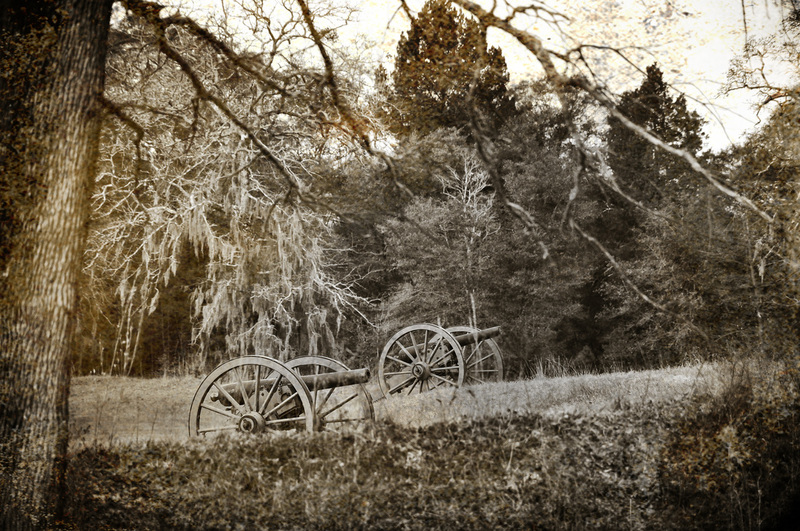 Andersonville National Historic Site began as a stockade built about 18 months before the end of the U.S. Civil War to hold Union Army prisoners captured by Confederate soldiers. 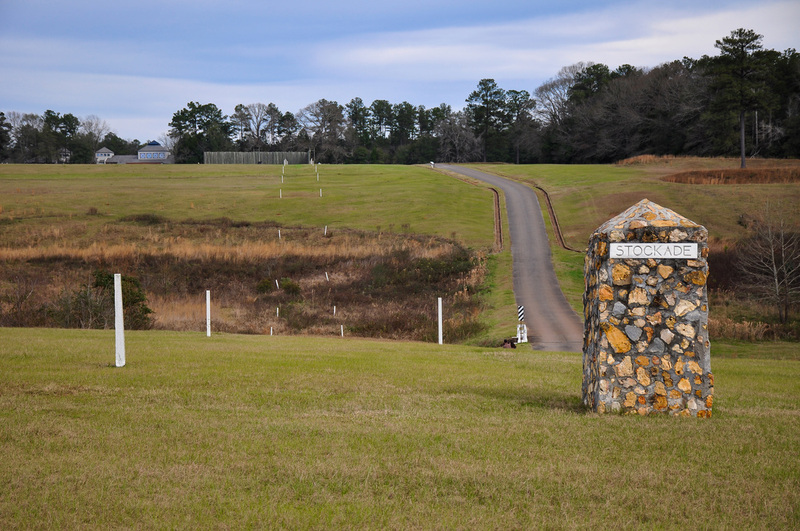 Located deep behind Confederate lines, the 26.5-acre Camp Sumter (named for the south Georgia county it occupied) was designed for a maximum of 10,000 prisoners. At its most crowded, it held more than 32,000 men, many of them wounded and starving, in horrific conditions with rampant disease, contaminated water, and only minimal shelter from the blazing sun and the chilling winter rain. 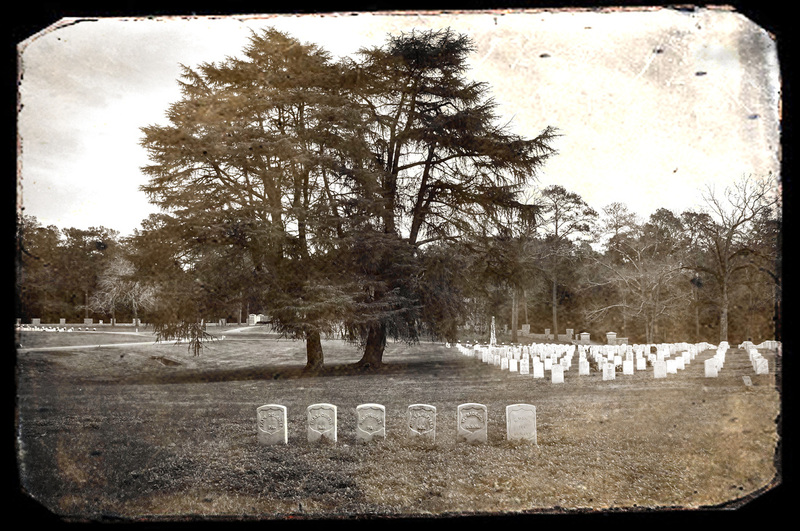 In the prison's 14 months of existence, some 45,000 Union prisoners arrived here, of those, 12,920 died and were buried in a cemetery created just outside the prison walls. 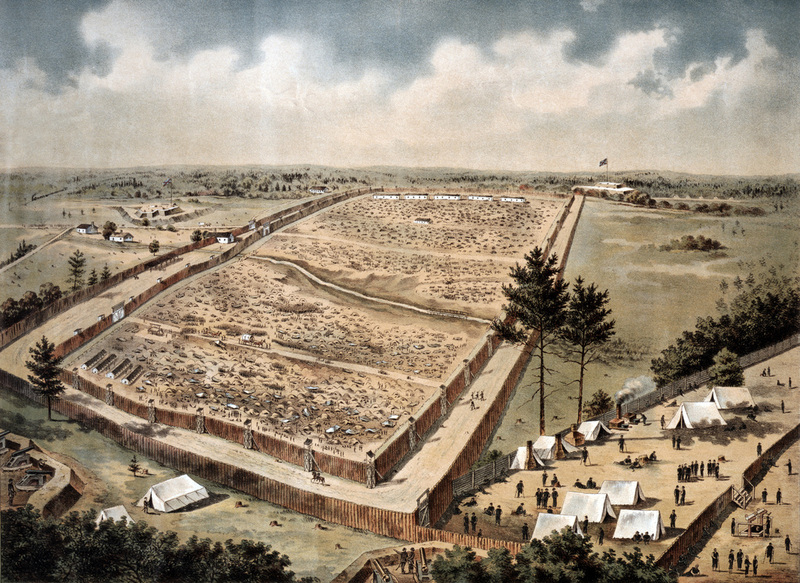 What Andersonville would have looked like during the war. 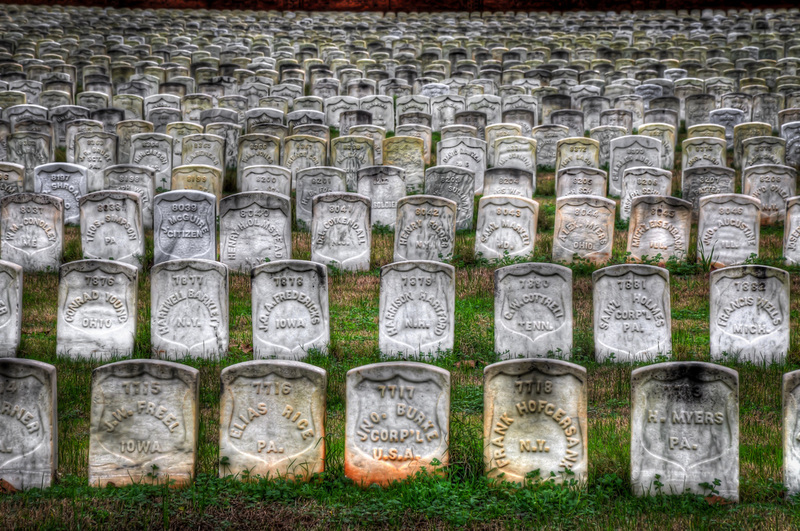 Some of the almost 13,000 POW's buried at Andersonville. The Raiders. Six prisoners who robbed, beat, and killed other prisoners. They were arrested, tried, convicted, dishonorably discharged, and hung. They are buried separate of all the others. Looking North. The stone pillar marks the SE corner of the prison. The row of white posts on the right side, S to N, represent where the outer wall, or "stockade", was located. The row of white posts on the left side represent the "deadline", or inner wall of the prison. Any prisoner who crossed outside of the deadline was shot on sight. There were two gates in and out of Andersonville prison. This is the North gate, which runs along the West side of the prison. Prisoners would arrive by train, and enter through these gates. Pillars mark where the South gate was located, also along the West side of the prison. 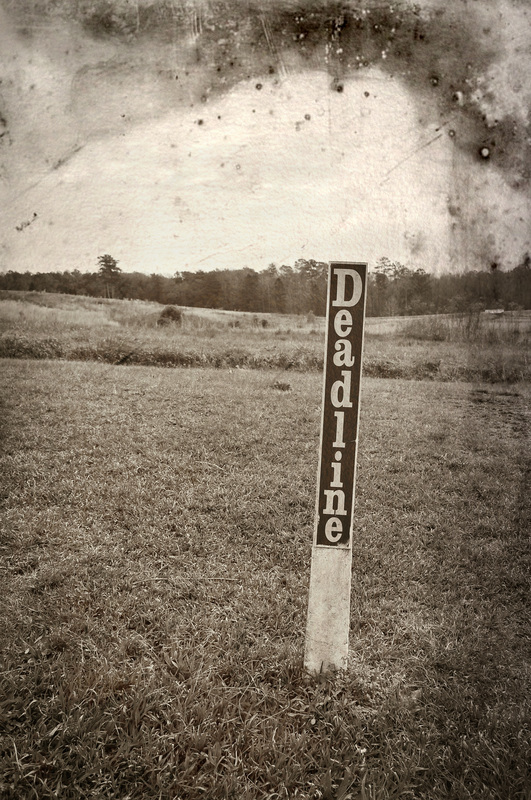 Deadline marker. Cross this point, and you were shot by guards. 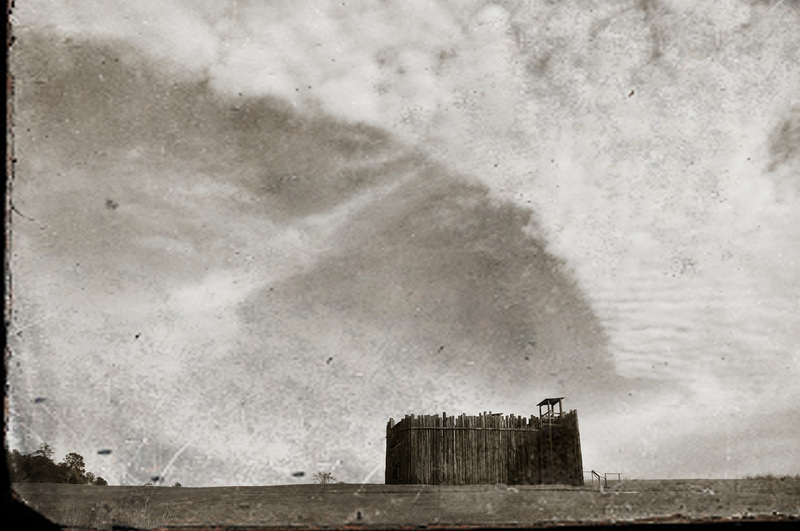 Early photographs of Andersonville Prison. Clip from the 1996 movie, Andersonville.